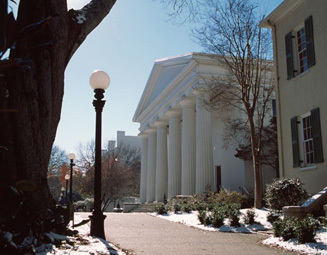 Founded in 1785 as the first state-chartered institution in the United States, the University of Georgia (UGA) is considered the birthplace of American public higher education. Located 70 miles east of Atlanta, Athens is considered one of the premier college towns in the country. Home to a student population of over 26,000 undergraduate and 8,000 graduate and professional students, and offering more than 170 undergraduate academic programs and 280 graduate programs (MA, MS, EdS, PhD), as well as acclaimed faculty members, state-of-the-art facilities, and an unparalleled campus experience, the University of Georgia is providing great students the opportunity to develop their intellect and pursue their passions. Additionally, as a land-grant institution, UGA has resources and labs across the State of Georgia, including the Georgia coastline. 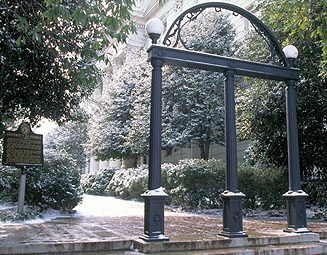 The University of Georgia, located in the college town of Athens, GA, approximately 60 miles northeast of Atlanta, is the state’s land-grant and sea-grant university. Providing higher education to almost 35,000 students annually, the university serves the citizens of the state through its missions of teaching, research and service. With 170 different academic programs in 18 schools and colleges, the University has provided a wide range of academic options in a residential and programmatic rich environment since its founding in 1785. 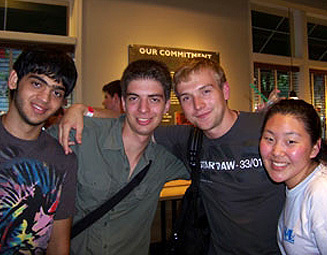 The University of Georgia Graduate School offers an Intensive English Program in the summer semester to newly admitted graduate students. For additional information, please visit http://www.iep.uga.edu. The Department of University Housing provides comfortable, affordable, and secure places where residents can receive support for academic success and personal growth. The university environment and our residence halls offer academic and personal support services that will foster essential student growth and development. There are 20 residence halls and communities and freshmen students are required to live on campus their first year. UGA students enjoy the lively music and arts community of Athens as well as having access to the major metropolitan city, Atlanta, and the mountains of North Georgia within a 90 minute drive. The University offers a free transportation system around campus and the town of Athens for all students with a valid UGA student ID card. Student run organizations provide a full range of activities from sports clubs to professional career organizations to honor fraternities. 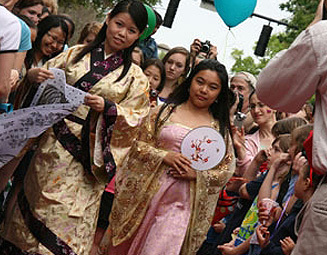 Performing arts centers, physical athletic space, museums and a beautiful wooded campus of over 600 acres provide activities for students with any type of interest. The university fields both men’s and women’s Division I athletic teams. International Student Life (ISL) organizes a number of exciting cultural events, programs, and services dedicated to international students. In addition to programs that enhance international awareness, ISL also provides orientation sessions for new international students, offers non-resident tax assistance as well as individual counseling, and advises approximately thirty international and multinational student organizations. More information on ISL can be found at http://www.uga.edu/isl/. About 600 registered student organizations, including 35 social fraternities and 23 social sororities. 2012 Freshmen: 4,970 total; Avg. SAT score: 1272; Avg. GPA: 3.83: 98 percent of in-state freshmen earned the State of Georgia HOPE Scholarship. Almost 5000 new freshmen enroll each year along with 2000-2500 new transfer students. The academic selection is rigorous and competitive with the average new freshmen student having an average Grade Point Average of 3.73-4.03 (on a 4.0 scale) and average SAT of 1790-2040 (on the 2400 scale). Students selected will have enrolled in very rigorous classes while in high school.